The driving force behind the ongoing revival of this 1980s pioneer boutique address is the irrepressible Petros Markantonatos. A fellow Ionian to me, the embodiment of the mischievous Lixoriote-Cephalonian spirit. Armed with witty repartee. An arsenal of puns. Oh yes, and his humour: it can slaughter imaginary or real monsters. He is, also, a man on a mission. While tooling with the micro-cuvee of the estate’s Syrah, he has been up to (what else?) more mischief in the cellar. First, he earmarked a high (850 m.), single vineyard of ungrafted Robola, planted in 1954 (following the devastating 1953 earthquake). He then revved up research on numerous ambient yeast strains of this other great white indigenous grape. 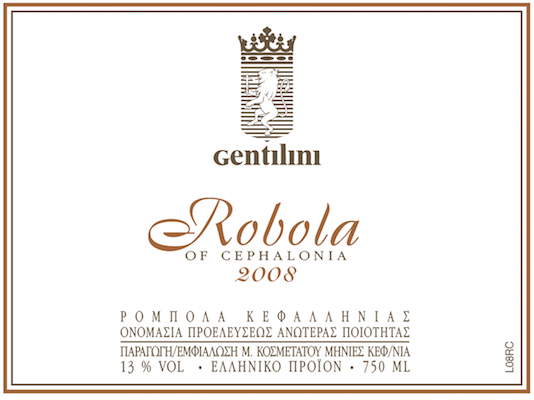 Dozens of micro-vinifications later, the Robola 2007 CS is now with us. In essence, it represents a trial effort, ultimately seeking to improve his very good Robola. Interestingly, the restless Petros also tried all these wines with synthetic closures as well as natural cork. The aromatic profile was slightly more intense with natural cork. Methinks, why not go all the way and screw cap it? The ultra-conservative home market, though, is not quite ready for it, yet. Even without the above suggested closure, it is all around sharper in focus. It exhibits more concentration vis-a-vis his current Robola, which, at 28 hectolitres per hectare, could hardly be described as thin. Redolent of jasmine and lemon zest. There is more depth and a clearer definition of the island’s flint-stone Robola character. The severe bright acid mineral tow on the finish is pretty serious stuff. It reminds me of the Kimmeridgian Chablis Grand Cru soil. There is no doubt that the CS is a smart path towards eliciting even more terroir out of the Mount Ainos limestone rocky slopes, covered with vines, maquis and ‘waves’ of silvery-green olive trees that fade into the Ionian Sea.